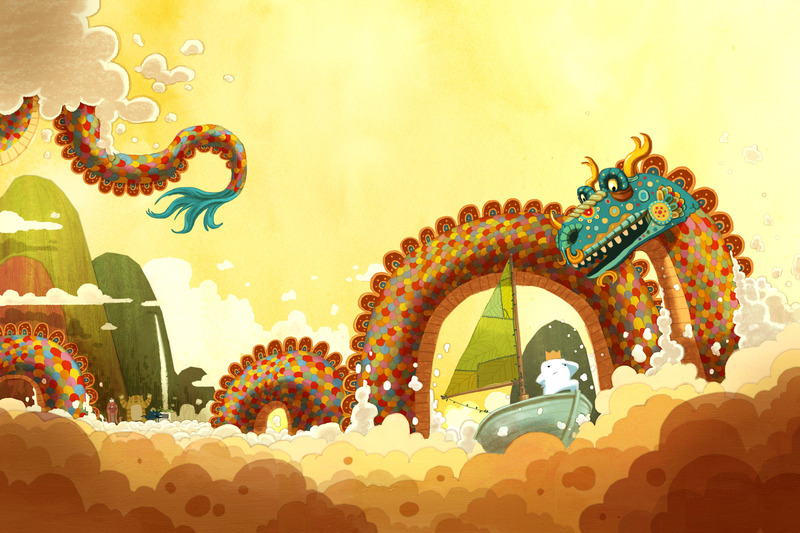 After the last fantastic year in picture books, it was hard to imagine 2014 reaching the same heights. And indeed, my initial impression was that this year's offerings fell short of 2013's stellar crop. However, as I sifted and sorted through the piles of books to put this end-of-year post together, the list of quality books kept growing. 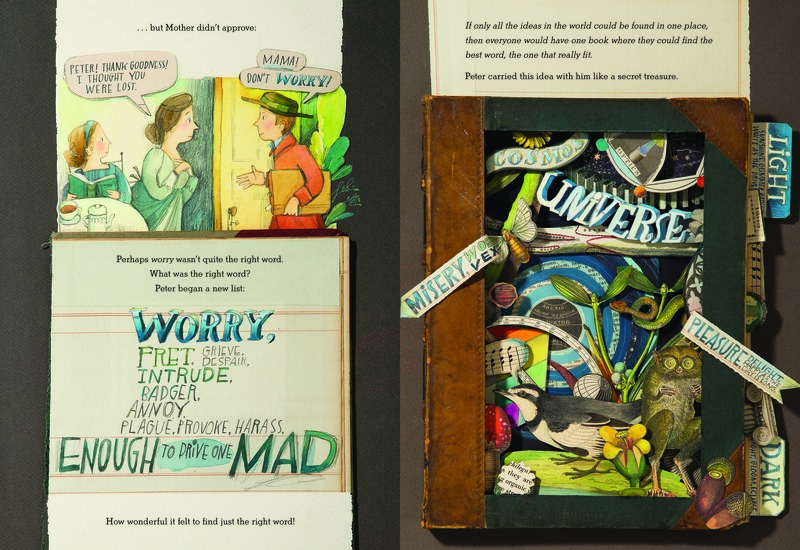 By the end, I was as convinced as ever that we are living in a new golden age of picture books. As the categories for this post emerged (Most Charming, Best Adventure, Most Touching, etc. ), it became clear that Beekle was my choice for the Best Overall because it could have easily topped almost every category (I admit, Best History/Non-fiction would have been a bit of a stretch). The story opens on an island where imaginary friends are born and takes us on a journey that navigates themes of loneliness and the power of the imagination while also folding in some deft postmodern flourishes and playful skewering of the adult world. Santat harnesses all of his prodigious talents for a story that is both deeply personal (he was inspired by the birth of his first child) and brilliantly universal. With its winning combination of style and substance, Josephine stands out in this particularly deep category (both Viva Frida and The Iridescence of Birds are strong contenders for children's lit awards). 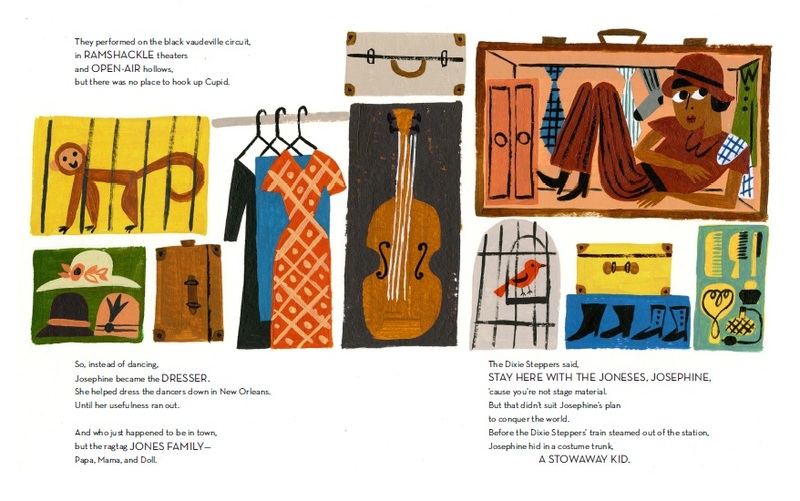 Powell's text dances across the page and Robinson's illustrations leap forth with playful vitality, together painting a complex portrait of how Baker was shaped by society and how she in turn transformed society for the better. Note: If Robinson (who has several notable books out this year) doesn't win this year's Caldecott, then next year could be the one with his name on it. 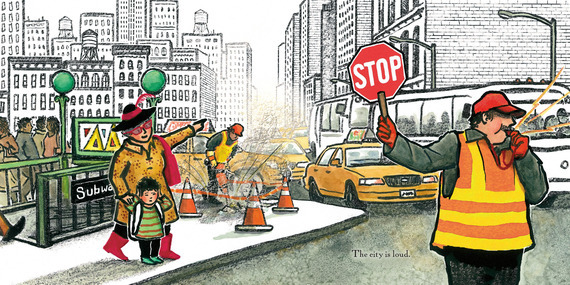 His remarkable Last Stop on Market Street (with Matt de la Peña), is an early favorite for the best picture book of 2015. Finding order in the world around you is one of the primary objectives of childhood, but for someone like Roget, it was a lifetime occupation/obsession. The dynamic duo of Bryant and Sweet (who previously collaborated on biographies of Horace Pippin and William Carlos Williams) artfully capture the magnitude of Roget's achievement and blows the dust off that often overlooked reference book sitting on your shelf. Though we may not use as much makeup as the clown in this story, the truth is that we all wear masks of one kind or another. 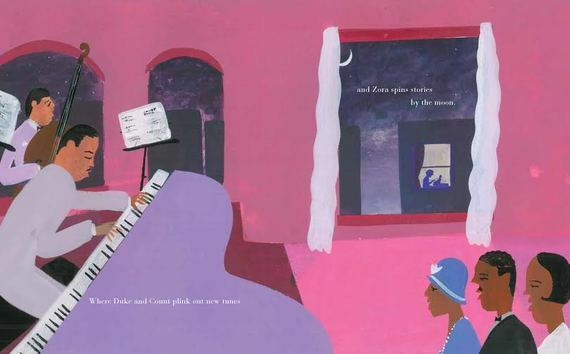 Frazee's wordless masterpiece reminds readers that it's not until we take off our masks and make ourselves vulnerable that our relationships truly have a chance to thrive. 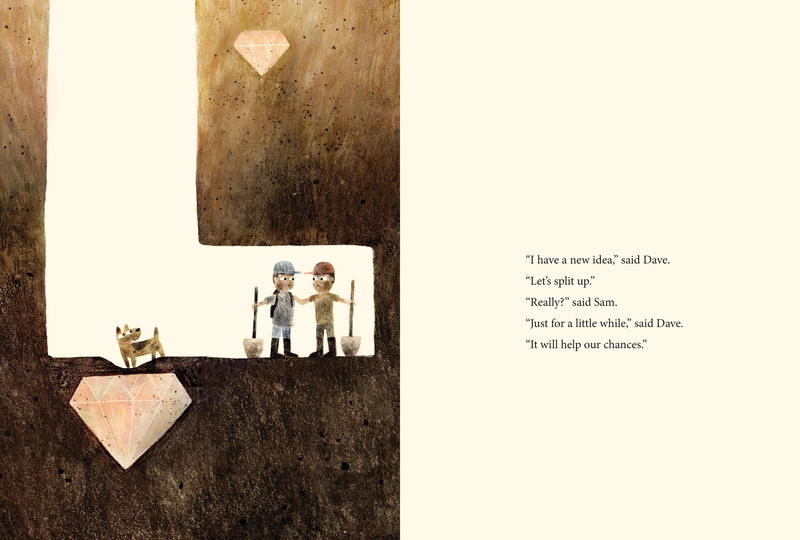 Sam and Dave dig a hole, hoping to find something spectacular. Luckily, Barnett and Klassen deal regularly in the spectacular, ensuring that Sam and Dave (and readers) do not walk away disappointed. Part wry comedy of errors, part Twilight Zone, if you're digging through your shelves for something spectacular, look no further. Little Elliot may be a shy little elephant, but don't be surprised to see him take the world by storm. 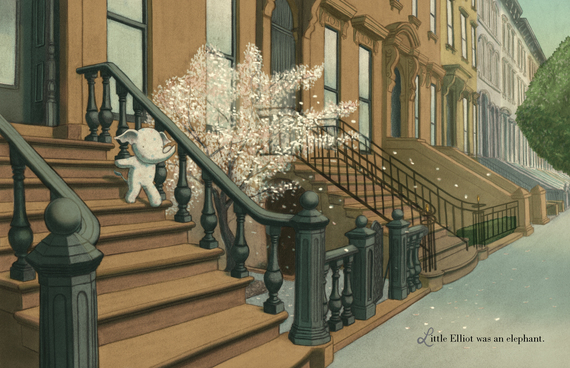 One of the more endearing children's book characters to come along in a while, imagine Corduroy wandering into an Edward Hopper painting and you'll get a sense of the magic that is Little Elliot. From pigs wearing wigs to chickens reading Dickens, Viggers peppers each page with enough whimsical detail and dry wit to make counting to twenty feel like spending an afternoon sipping chai tea with Wes Anderson. In this beautifully dark and touching tale, Elsa struggles to cope with the loss of a dear friend (a struggle that manifests itself in an epic 30 year bout of insomnia). With the help of a mysterious visitor, she is finally able to put her grief to rest and find enough peace to accept a good night's sleep. A little boy spends the night with his nana in a city that he finds busy, loud and scary -- in short, no place for a nana to live. 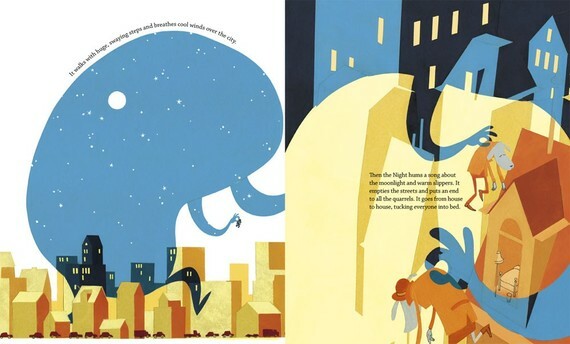 However, the boy (with the help of a homemade cape) learns to see the city from a different perspective, and in the process sees his dynamic Nana in a whole new light. Text and illustrations © 2012 by Anca Sandu. Permission to reproduce granted by Peachtree Publishers. A pig loses his tail and becomes preoccupied with trying on replacements. I'm not familiar enough with British history to tell you if the "Churchill" reference belies an underlying political message, but regardless of any historical implications, the pure silliness of Churchill's search makes this British import a winner. It is impossible not to be blown away by the staggering collection of talent and intellect gracing the streets of Sugar Hill. Weatherford and Christie's portrait of the historic neighborhood will give readers a new appreciation for the rarefied air of the Harlem Renaissance. c/o Random House Children's Publishing. 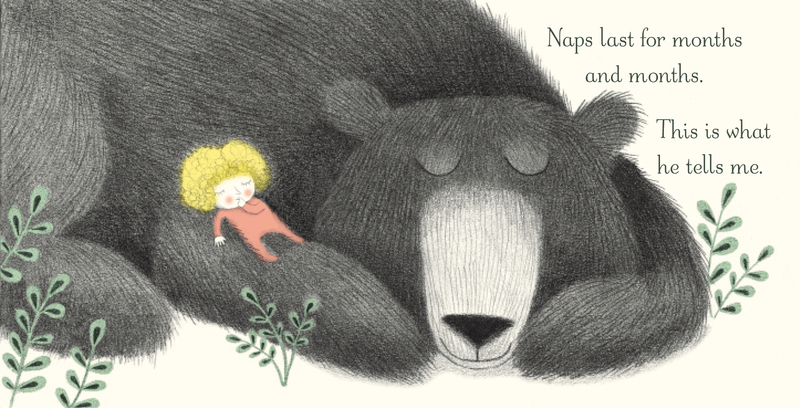 Children's literature is crowded with books set in zoos -- which only makes sense because they offer a convenient setting in which to showcase a broad array of animals.I Know a Bear is a refreshing counterbalance that considers the melancholy side of the zoo through the eyes of a young child who befriends a bear living in captivity. Shimmering with musical text (Kalluk is a renowned Inuit throat singer) and stunning illustrations, Sweetest Kulu shows the hopes and dreams that accompany the arrival of a new child. For those who consider the bedtime story to be sacred, it's hard to do better than ending the day with the whispered incantation: "because you are true love." I'm not sure what's more fun to recite, the dour "Go Away, I'm Grumpy!" 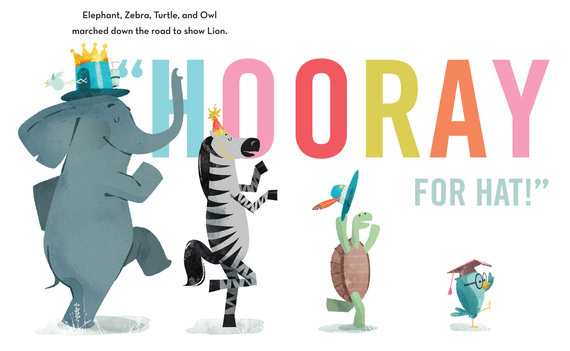 or the exuberant "Hooray for Hat!" Either way, Won's beautifully designed debut is utterly infectious and a treat to read aloud. Note: When I wrote about Hooray for Hat! 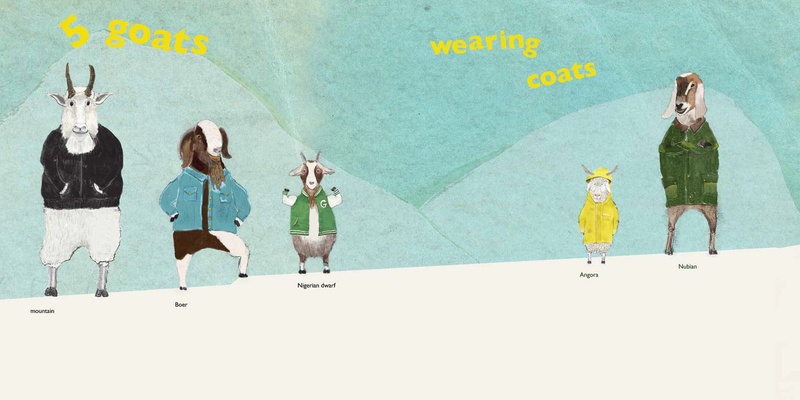 earlier in the year, I said that the illustrations "make you want to have a baby just so you can decorate the nursery and parade around in silly hats." So you can imagine my delight when I heard about Live in a Story and found out that universe was one step ahead of me. This new company (started in part by authors and illustrators) sells wall decals that allow you to decorate your home with art from some of your favorite illustrators, including the characters from Hooray for Hat!. Brilliant. Whether you are a small child or a grown adult, we can all use the occasional reminder to take a deep breath. 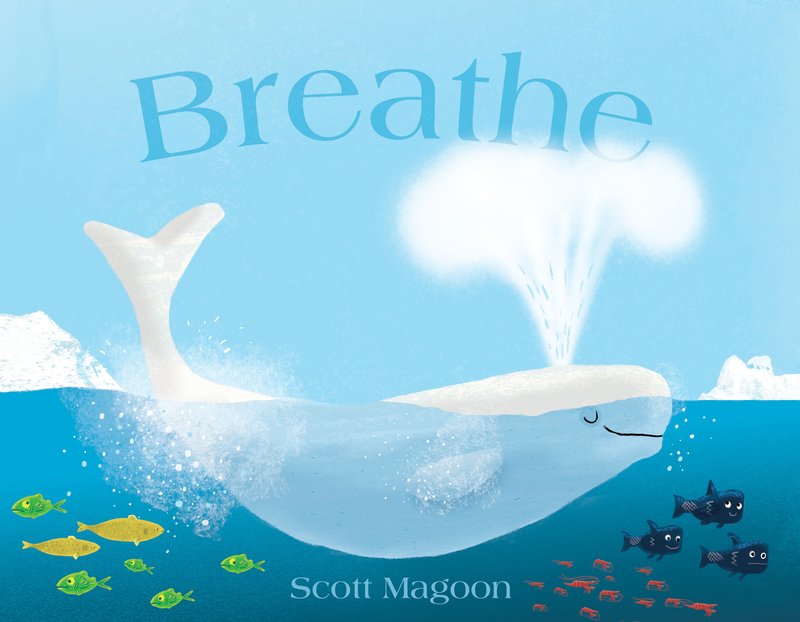 Magoon's book does just that, pacing his spare text with gentle reminders to breathe. I swear there is magic in this book. I've personally seen it diffuse full-on toddler meltdown and I'm pretty sure medical trials would show that the book lowers your blood pressure.